This past Saturday I celebrated surviving another year. The last thing you want to be responsible for on your birthday is providing your own cake. However, if you don’t then you might end up with some horrible store bought cake with icky fondant, to me that would be worse then no cake at all. I didn't get a chance to make a cake on Saturday because we were out for a day in Bath. Did a bit of exploring and stuff. Then back for a BBQ with close friends of the family, all in all a good day! There was a grand plan to make myself a cake on the Friday, but like most things I plan it didn't go accordingly. As I had all the ingredients I went a head and made it yesterday. There was a little bit of trouble with it. The cake is super soft and delicious, but because it’s so soft when I was layering the cake up, the cake I choose for the middle layer split on me. It was definitely an eek moment. It just meant the next layer made it really squish out the side. After a bit of time in the fridge it’s all right, but it would also work as a trifle. Just layer it up in a bowl! 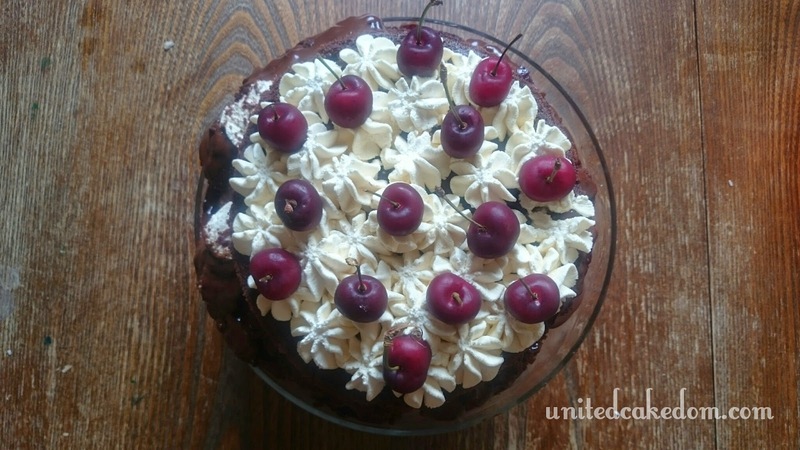 To be honest I don’t think I have ever had a Black Forest Cake. It’s a classic or retro cake that has stood the test of time. It even appears in more then one of Ursula Todd’s re-lives in Life After Life. This is the second cake I was talking about in the previous post where I shared the Sherry Cake. Life After Life questions if you had the opportunity to change things, would you? If you could have a second chance? If I could go back and make this cake again I would know to be more careful with the layers. However, I believe that no matter what choices we make some things cannot be changed - some things stay the same. Heat the oven to 150C and grease/line three 7in/18cm cake tins. Melt the butter, chocolate, and milk over a low heat, stirring occasionally. Leave to cool, while you mix the flour, both sugars, and cocoa powder together. Add the eggs to the dry mixture one at a time. Then when the chocolate mixture has cooled stir in the buttermilk before adding to the flour/egg mixture. Gently stir until combined. Pour into the prepared tin(s) dividing between the tins as evenly as possible. Bake for 45-50 minutes using the skewer test to make sure they are cooked through. When the cakes are out of the oven and cooling make the ganache and whipped cream. 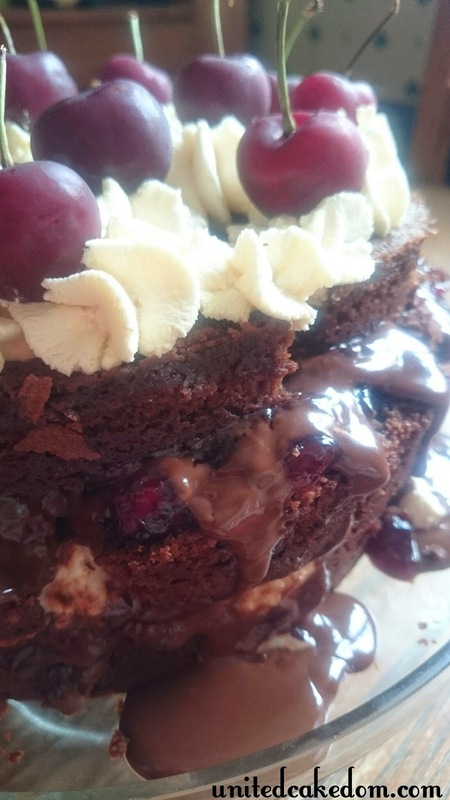 Lay the first layer of the cake on a plate/board/stand and spread 3-4 tablespoons of the cherry conserve over the top, then pour ½ of the cooled ganache over it. Pipe 1/3 of the whipped cream in circles on top, leaving a little room around the edge. Repeat with the next layer. Finish the top with the whipped cream and fresh cherries. Simmer the cream, kirsch, and honey together before adding in the dark chocolate. Whisk until shiny. Whip the cream, vanilla, and sugar together until it holds a soft peak. 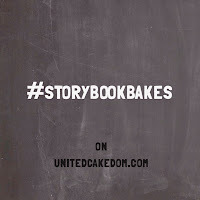 notes: Recipe loosely adapted from Jaime’s Comfort Food - Sherry Cake & more on Life After Life by Kate Atkinson - Other retro cake: Pineapple upside down cake. Recommendations for World War 1 & 2 fictional novels. Follow Teddy Todd's (Ursula's brother) story in Kate Atkinson's new novel A God in Ruins. All opinions are my own and I purchased Life After Life for my Kindle App. Looks Yummy! Do you do this often? 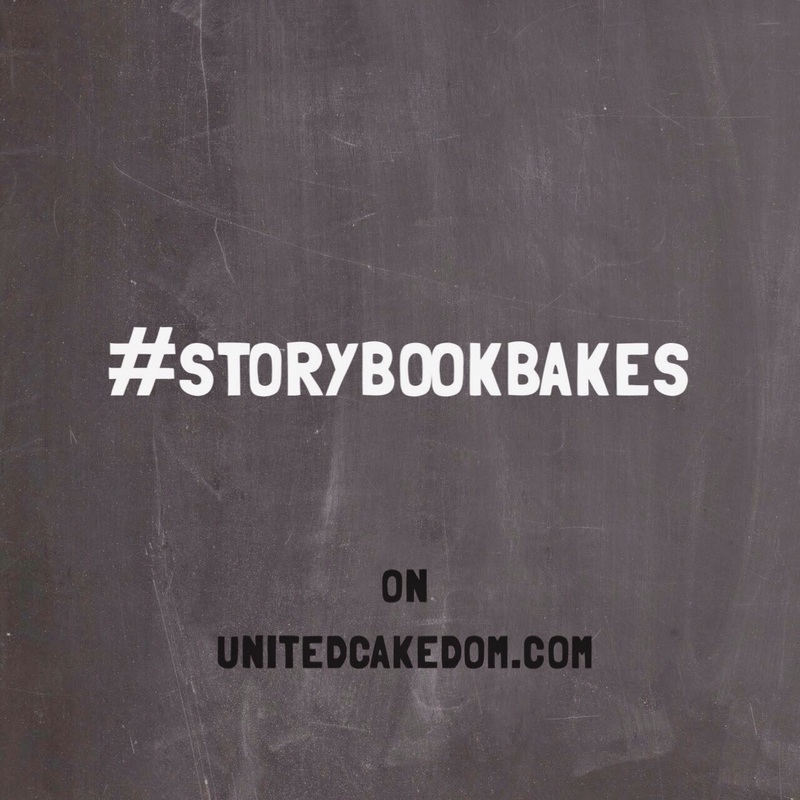 Storybakes?